We want to build the greatest games and interactive entertainment in the world. That’s the mission Pocket Gems’ founders began with in an apartment above a pizza shop back in 2009 and we continue it today. Pocket Gems has grown to over 250 people in San Francisco. 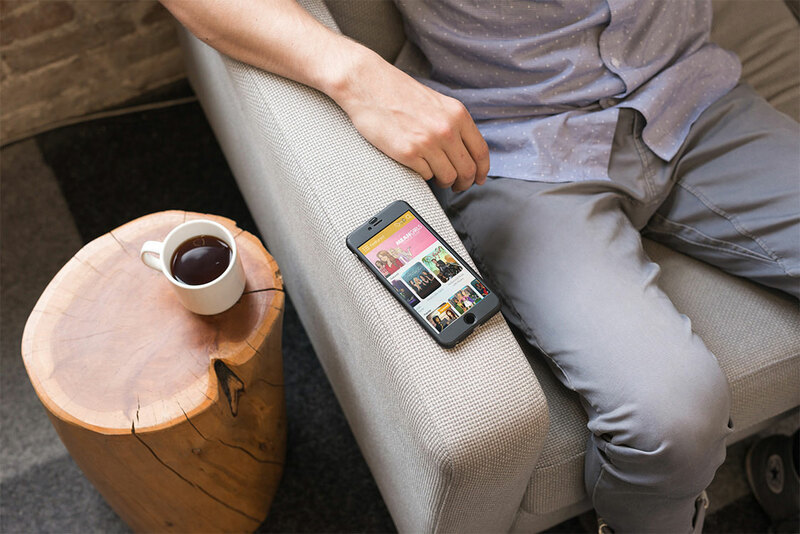 With backing from Sequoia Capital and Tencent, we’re constantly breaking new ground with graphically rich mobile games, fun new genres of mobile entertainment, and innovative technologies like our mobile-first Mantis Engine. Interested in working at Pocket Gems? Check out our Careers page. Doing the right thing means acting ethically and honestly in ALL situations because we are building for the long-term and our integrity matters. Our space is dynamic and sometimes there are opportunities to cut corners by compromising ethics. We won’t do things that are unethical. It’s everyone’s job to take initiative and have a company-first mindset to make PG great. Everything we do requires collaboration across teams and functions. Our best work is done together. Having the best team in mobile is the key to success. Teaching, training and supporting our teammates and co-workers are crucial to developing great people. We highly value mentorship and we should never stop taking on new responsibilities or building new skills. We aspire to create wildly FUN games and products. Innovation and originality are the key in creating these fun products loved by all. Our respect for our community of loyal players should inspire us to make great things! In order to succeed, we must care for our players. We want to create amazing experiences and gameplay and we aspire to support them through excellent player support, thoughtful game design and player-first mentality. We should have the attitude that we can always do or make something better. We take risks and learn from them. Iteration means collecting feedback and constantly improving on processes, projects and initiatives. Cornell Computer Science, Stanford MBA; Machine learning research (fast object detection techniques using AdaBoost derivatives; licensed to Like.com, sold to Google), VP Engineering at Smartleaf (large RoR SAAS application). Born and raised in NYC. BA in Computer Science from Cornell and grad school dropout. Prior to Pocket Gems, hacked for startups in computer vision, compilers, embedded-realtime, bioinformatics and financial software. Stanford MSCS; open-source enthusiast (Virtual Network System, gae-sessions, ENVI). Won best demo award at SIGCOMM two years in row with the OpenFlow team. First there were only 2 colors, then 4, then 16, then 256! EECS grad from Berkeley focused in Robotics. Prior to Pocket Gems, worked on robotics software and robotics research. Stanford MBA, BS EE, BA Economics. Prior to Pocket Gems, managed Playdom’s largest game studio and led the City of Wonder team. Berekeley Grad in EE and CS. Previously worked in web development field for two years. Loves pizza. MS in Computer Engineering from Santa Clara University; Previously worked in QA at Thump Games. A hadouken, because I’m down right fierce. Graduated from Flagler College with a BFA in Fine Art, Graphic Design,and Illustration. Has a passion for illustration, an eye for design, a stomach full of tofu, and a brain full of creativity. University of Michigan bachelor’s in CS. Minored in art history with a focus on archaeology and architecture. Before entering the startup world with Pocket Gems, developed at EA’s Visceral Games. Fueled by sandwiches and green tea. B.Tech. Computer Science &amp; Engineering graduate from IIT Delhi. Previously worked at a web startup in New York as one of the first hires and helped build the product and the team. Turing Scholars CS grad from UT Austin. Piano player, gymnastics doer, and physics simulation maker. B.S. in EECS from UC Berkeley. Previously worked as a back-end engineer and developed independent iOS games. ECE BS from Olin College; Formerly Product Manager at Google for Google Reader and Google Finance, and Y-Combinator alum; Loves guitars, DJing, and Dr Pepper. Is Starcraft 1 old school now? Harvard MBA, Amherst College Undergrad; Started a rock band then suited up as a consultant and tech investor. Grew up on the Hopi Reservation in Arizona, got an English degree from UC Berkeley, then immediately ended up working here. Apparently I’m very lucky. Born in CA. Raised in KY. Eastern Kentucky University (Major – Computer Science / Minors – Mathematics, Statistics / Certificate – Japanese). Three years experience in QA / Automation before coming to Pocket Gems. Born on the shores of Lake Erie and raised in the Walleye Capital of the World. Earned a BA in Information Systems from the University of Cincinnati then filled up a VW Jetta TDI with 77 gallons of vegetable for a one way drive to the “Gold Mountain”. Connoisseur of NFL films, corn chips, and cheese dip. Graduated from UCLA with a B.S. in Aerospace Engineering. Normal people like cars, I like F-22s. Jack-of-all-trades & lover-of-new-things. BA in Human Development, 2 years as a stage manager, producer of international business conference FailCon. Always getting audiences to tell a story for themselves. B.A. in English from UC Berkeley. Sometimes does stand-up comedy. Likes robots. Dislikes spiders. Favorite food is candy. B.A. in psychology at UC Santa Cruz. Previously worked in patient services for Lash Group. I love RPG games and a great story. Grew up in Indonesia, graduated with BA in informatics engineering. Blessed with a natural abstraction ability, failed miserably in detail. Previously interned at Pocket Gems and worked at local start-up afterwards. Have wistful thinking to become a researcher or government official. Learned to design from RISD, learned to game from life. Fossil Records indicate that while the wild Vear originally inhabited an area between Maine and Virginia, today they can be found in the San Francisco Bay Area. Wild Vears are docile and amiable beasts of burden known for the interesting visual representations they produce in front of illuminated rectangles. While it is uncertain what purpose their ornate images serve, experts suggest that it is an attempt to communicate with others or possibly attract a mate. Vears are highly sought after by humans for the images they produce, but are rare due to their solitary natures. Earned a Bachelors and Masters in computer science at Stanford University. Before Pocket Gems, founded a startup and created the Totemica games. Interests: videogames, piano improvisation, music composition, and a bit of everything else. Before being bitten by the PG bug, went to school in San Diego, picking up a BS in Biochemistry and a JD. Spends his free time collision testing abandoned farmhouses and lightly garrisoned army bases. Not a picky eater. Previously worked at Midway and Namco Bandai. Corporate minion for seven long years before finally breaking free and landing here at Pocket Gems. I also love to eat noodles. Stanford MBA; BA in Business Economics from UCLA. Started my career at PwC and was a high roller in private aviation before landing at Pocket Gems. Btech and Mtech in Computer Science from IIT Delhi. Did my internships at Microsoft and Worldquant. Soccer aficionado and poker lover. I love reading and quizzing. MS in Computer Science from UFMG, Brazil. Digs soccer, puzzles, programming competitions and mexican food. Psychobiology degree from UC Davis. Rocked it in the world of publishing for a while, then made the switch to mobile gaming at PG. Lady lifter, avid sci-fi fantasy and webcomic reader who has a hard time saying no to ice cream. Spent time living in Paris, Connecticut, California, and Virginia, before going to school at MIT to study Math and Computer Science. Fan of puzzles and all sorts of games (card, board, video, drinking, etc). Other likes: climbing, sushi, long walks, concerts, and cute things. “- Born and raised in the redwoods of Humboldt. – No hopes and no fears; huge, stupid and invincible. Grad from NIT Durgapur with CS major. Love of my life: My bike &amp; my laptop. Spent four yrs of my life dedicated to gaming and finally launching myself in it’s developing. Dream: Lamborghini Murcielago. DOTA, CS, Assassin’s creed, NFS, FIFA, Elder scrolls, Joan of Arc & loads more. B.S. in Cognitive Science: Human Computer Interaction, Minor in Japanese Studies. Prior to Pocket Gems, worked in QA at SCEA for 2.5 years. Born and raised in La Paz, Bolivia. B.S. and M.S. in MS&E at Stanford. Background in finance and entrepreneurship. I enjoy playing soccer, laughing and making people laugh, watching TV, playing the drums/guitar/harmonica. From Knoxville, TN. Moved to Florida for school, got first game art and design job at a small Flash-based developer. Moved to San Francisco for work after Masters program. Love the city. Commander Shepard. C’mon. Who wouldn’t want to be? I was named after the Dylan from 90210. I attended AICA-SF for a BA in computer science. I punctured my ear drum once. (Not a pleasant experience.) Also, as a hobby, I played the drums for a few years. I grew up with a love for computers, which is why I’m currently working on my B.S. in computer science at RIT. In my spare time, I play all types of video games, work on random projects, play around with my Funtoo Linux systems, and attempt to learn functional programming languages. ECE/BME double major at Carnegie Mellon University. Grew up all over Asia. Foodie, adrenaline junkie, and avid multitasker. AB from Harvard in History and Science (evolutionary biology). Strategy consultant at L.E.K. Consulting then did a stint at Google as a business intelligence analyst. Favorite things include my sloth surfboard, volleyball, my dog Mochi (the Hammer) and my cat Lola (Lil’ Weezy). Stanford MBA; BA in Economic Policy from Princeton. Prior to Pocket Gems, worked in economic consulting at Cornerstone in New York. Graduated from Wharton with a BS in Economics. Spent some time in mobile advertising before making the transition to Pocket Gems. Interests include weightlifting, scrapbooking, and gaming. Love art! Studied 3d animation in San Francisco. Could live off Ramen and fro-yo. Graduated from University of Pennsylvania with a degree in English. Worked in editorial at Simon & Schuster, and had a brief stint at Warby Parker before deciding California was the place to be! I grew up on a Farm in the Midwest, studied film in San Francisco. I originally wanted to be the cinematographer for snowboard promotional films, then I taught myself 3D and have never had a boring day since. Born in Devon, England. Lived in London for 10 years. Worked in mobile games for 9 years. While studying anthropology at UC Berkeley (Go Bears! ), I worked as a coffee barista. Post college, I maintained my coffee addiction with a job in the mobile gaming industry. From Boston, lived in Milwaukee and Jackson MS before uprooting to San Francisco. Thought I’d take a shot at doing for work what I already do for fun – make games. Studied art at University of Michigan and Watts Atelier, been drawing stuff for games for a couple years now. I like to hike, draw, and watch Mystery Science Theater. My love of all things kung-fu is matched only by my total lack of kung-fu skills. I’ve been making games for 14 years and loved it throughout. I was part of the first 6 games ever launched for the original Xbox. After developing my dream console games like the Bioshock and Dead Space Series, I felt it time to move on to truly new challenges. I want to apply my AAA quality experience and perspective to the mobile world and future of gaming. Mario. Blissfully happy in the surmountable challenges in his life. Computer Science degree from Illinois. Past lives in big data, MMOs, and educational games. Enjoys moonlit walks and berry smoothies. BS/MS in Civil/Structural Engineering from UC Berkeley. Previously worked as an engineer and advertising analyst. Been playing video game since I was 7 years old. Graduated from Academy of Art University, and living in San Francisco for 4 years. Love hiking, camping and video games. Master in Graphic Design from Academy of Art. Has been working on UX/UI and designing board games for years. Strongly believes that making a good game can save the world. Lover of all things art and animation, I graduated from the Academy of Art University with a degree in 3D Animation and Visual effects. This is my first opportunity to do what I love professionally and I am enjoying every minute of it. Prior to my time at Pocket Gems I was a curriculum developer for a digital academy out of Stanford University and worked membership at the Presidio YMCA. Any lead character in a Pokemon game. BA from Cal, Berkeley; I’ve animated video game for several years. Working on games for Console, PC, and mobile. I’ve been making games for over 15 years. I started out when VR was going to be the next big thing (the first time), arrived at the tail end of arcade, and rolled through the generations of consoles. I worked for almost 10 years crafting environments and helping guide development for the Tomb Raider series. I had the opportunity to learn a lot in the console world and now I’m looking forward to learning more in the Brave New World of mobile. Maybe those guys who throw hammers down at Mario. Those guys are jerks but they seem to have a pretty cushy job. Sit on a cloud, throw hammers all over the place….sounds pretty good. Kurt’s an artist with a background in games, movies, and teaching. Published in multiple books and mags making creatures and characters! Metal Slug. Or if that’s not old school enough, Lunar Lander! Solid Snake is a pretty cool guy. CS grad for IIIT-Hyderabad, India. Prior to joining PG I interned at a couple of places and worked as a developer at Fab and InterviewBit. It is hard to choose but the top three would be Contra, Doom and Prince of Persia, although I never did cross the mirror image level of PoP. Lifelong gamer but originally planned to go into psychological research. Joining an (at the time) scrappy startup named Riot Games and having a hand in making League of Legends from the ground up quickly changed that plan and the new goal is to make awesome games that people can’t put down. Philosophy student at Lehigh. Traveled around the world to play in professional card tournaments (Magic, Poker). Career highlights include Magic: the Gathering and CityVille. Raised in Hawaii and a proud graduate of Kahuku High School, B.S. from Stanford University, loves RPGs, food, and sleeping. I love fine art and movies. I’m an East Coast game developer. I worked in a few studios in the Boston area on games like Rock Band, Lord of the Rings Online, and Disney’s Fantasia: Music Evolved. I always knew I wanted to make games, so what can I say—I’m living the dream! BA in Global Studies, MA in Sociology. Migrated from LA to SF. Ran fundraising databases and analytics in a former life. Grew up in Beijing; Undergrad in BUPT; MS in USC EE department – Multimedia & image processing; Big fan of programming and learning new stuff; It’s fantastic to be at Pocket Gems!!! Graduated with BS in CompE from UIUC; secretly learnt a lot more CS from Stanford & MIT open courses. Worked on loads of software and/or hardware projects on the side. Love cooking, eating, and driving. Consumer electronics aficionado and manga fangirl extraodinaire. Stanford MBA; Caltech BS ME, BS BUSEM. Prior to respawning at Pocket Gems, spent a couple years at Intel as a Mechanical Engineer specializing in PC and mobile, and most recently freelanced as a graphic/product/UIUX designer. Cloud from FFVII AC — forget the Buster Sword, I want his First Tsurugi! Born and raised in video games and libraries. If found doing something else, it’s most likely dancing. Previous encounters while adventuring included Perfect World and Ubisoft. Went to CMU for ECE. Hired straight out of college by Microsoft as a program manager. Turns out I didn’t like program management very much. 20 years experience in Art/Visual Design. Avid sneaker and toy collector. San Francisco Giants fan before the 3 recent World Series victories. GO GIANTS! BA from Dartmouth College, double major in Economics and Psychology. Previous experience in Charles Schwab and an on-demand startup in San Francisco! Originally from Detroit, I’ve been making games in the bay area for almost ten years. Besides pushing particles around, I also enjoy painting, woodworking, cooking, and playing music. Psychology BA and Human Development BS from UC Davis. Clinical Psychology MA from University of Arizona. Gaming -> Pokering -> Seeing patients, Conducting clinical research, and Teaching at University -> Pocket Gems. Everything comes full circle. Bachelors degree in Sociology and Economics. Previously worked in HR at a law firm and most recently was a Talent Sourcer(er) at Disney. Grew up in China. MS in Environmental Engineering (CMU) and Computer Science (CMU). Like to take new challenges. What doesn’t beat me down makes me stronger. Viva has extensive experience in visual curating and art production, as well as outsource studio coordinating. They have dabbled in all kinds of artsy fartsy hoodoo, and probably want to talk about it at great length. They can be bribed with coffee. Graduated from Carnegie Mellon University with a degree of M.S. in computational Design. Love food and shoes! I started my whispering practice at Blue Sky Studios in 2006, whispering all kinds of unicorns, from technical to creative. In 2011 I moved my practice to San Francisco whispering for Walt Disney Animation, Lucasfilm Animation, ILM, LucasArts and most recently at Yelp. I am now a Gemmer! Graduated from USC in 2013. West coast transplant from New Orleans, LA, the land of seafood and deep fried everything! East coast transplant. Studied CS and Art at Brown. Still don’t know what I want to be when/if I grow up. MA in Global Media and Communications from USC. BS in Economics from Peking University. Previously worked on online advertising and user acquisition. Foodie, and a cat person. BFA in illustration from RISD, MFA in Computer Arts from Academy of Art University. Previously worked at EA and Konami. My hobbies include improv, Lindy-Hop and traveling. From Houston, went to school for Computer Engineering at Olin College in Boston. I brew beer, climb rocks, play video games, and root for the Texans. Sloths are by far the coolest animal that exists. B.A. in Integrative Biology from UC Berkeley. Loves figuring out game mechanics. Hates having so many games to play, and so little time. Is “meh” with pineapple on pizza. Decided to make games since high school, started last year. Thanks USC. BS in EECS from UC Berkeley. Previously, Software Engineer at Lithium Technologies. I’m originally an illustrator and I love drawing and painting. I eventually got into doing VFX for HoN and took a liking to it. One of those little dudes from Journey that you play as. Armed with a BA in English Lit and Creative Writing from UMich, an MFA in Screenwriting from SFSU’s Cinema department, and several years of experience searching for films and scripts in the movie business, James is fully equipped to help find and develop the latest and greatest stories at Pocket Gems! In his spare time, he enjoys reading, writing, joking, baking, biking, gaming, traveling and moviegoing. Proud Chicago native. MS from Northwestern and BS from University of Illinois at Urbana-Champaign. I love the intersection of storytelling and technology. Prior to PG, I worked in film at United Talent Agency and Sony Pictures, sold screenplays great and small, and operated a 500 Startups company in gaming and mobile commerce. Bay Area native with a BA in Computer Science from UC Berkeley. Loves Lego, sci-fi, and all kinds of games! Studied writing and literature at Sarah Lawrence College and religion at Harvard Divinity School. Background in publishing and coffee-making. Cloud from Super Mario Bros.
East coast native, BS in Mathematics from RPI, and moved to the Bay Area to pursue programming. Prior to Pocket Gems, worked on web sites at OnLive and then Humble Bundle. Interests include singing, playing guitar, and doing roller derby play-by-play. Born adrenaline addict, name it and I’ll do it! Proud UNC graduate, Go Tar Heels! Most recently a home improvement and vegetables extraordinaire, but always a game junkie. Old-school engine hacker and open-source developer, with experience with consoles, PCs and mobile. I write the gooey-icky stuff right down in the deepest, darkest core of the codebase. Played in several Magic Pro Tours while studying math and economics at The Ohio State University. Made Magic cards for six and a half years at Wizards of the Coast. Lead designed Skylanders Battlecast. Murky: Mrgglglbrlg rmrmgllg mrggggm. Mrrglglgy, mgllglgl mgggrrmgll MRGGGLGLLM! Proud BUPT and NEU alumni. Faithful dota fan and Overwatch addict. Enjoy good stories and interesting people. Excited to be a Gemmer! Born and raised in San Francisco. Left the nest to go to college & that’s when the Warriors decide to start winning, so I had to come back to The City as quickly as possible to witness it personally. I also play video games sometimes. IT SysAdmin who has been playing with machines since DOB. I’m a transplant from Columbus Ohio and grateful for the bay are climate. I enjoy computers, pugs, podcasts and sports! Rampage, Barkley Shut Up and Jam! Game designer who focuses on creating long term multiplayer experience. Goal is to create compelling multiplayer game experience. Studied Culinary Arts before getting my start in video games (I’m always happy to talk food). I’ve worked in mobile for nearly a decade now, including leading teams at GREE and Supercell. Berkeley MBA; BA in Economics and French from Bates. Previously worked in international tax for a consulting firm and the government. MBA in Marketing from Boston University. Previously worked on TV advertising, Product Marketing, and User Acquisition. I grew up in Oklahoma, went to film school in Canada, and have traveled around the world working on great projects. I first discovered animation at a community college in Kansas, fell in love, and never looked back. I live and breathe the IT world. Born in Tel Aviv, Israel and I now enjoy exploring NorCal. My main interests are computers, gadgets, history, sharks, exotic cars, horror movies, and of course…video games! I graduated with a BA in Linguistics from UT Austin, but came to the Bay Area by way of New Orleans, where I lived for 6 years. I love a good craft project, hiking with my pup, and cooking all the things! The Adventures of Lolo, Where in the world is Carmen Sandiego? My childhood ambition was to be either a ventriloquist or magician, so animation seemed like a reasonable alternative. Without really planning it I wound up living in Honolulu, San Francisco, Tokyo and New York. I play bass in funk bands and probably eat eat too much cheese. The most recognizable things I worked on were The Sims and Blue’s Clues (yes, I know Steve, who is still very much alive). Foosball. That’s right. Bring it. Is there a Hawaiian beach bum hero? I helped write and produce some beloved shows for Nickelodeon like “Drake & Josh” and “iCarly”. I also co-authored a book on organization and led a start-up called “Goodie Goodie,” a chore and reward app for families. Stanford BS/MS in CS. Prior to Pocket Gems, spent many years at PayPal (from before it was eBay), founded a social media startup, and built advertising products at Quantcast. Graduated from CMU with a M.S. in software management. Love swimming, hiking, cooking, and traveling! Proud to be a backpacker in Europe and Asia. I’m a biology scientist turned artist with a passion for color, stories, gaming, and life-long learning! My dream is to own three rabbits and a corgi to herd them. Starting in tv and film in 2005, Greg made the jump to video games in 2008. He has worked for a veritable who’s who of mobile game companies including Supercell, Telltale Games, and Nexon M.
Born in Upland California and raised in the Central Valley in cow country. Came to the Bay Area at age 18, ate my 1st hamburger, got a BFA in Illustration and never left. Artist, sleep head and small dog collector. Dedicated product manager. Avenues of exploration have included humanoid robots, Sesame Street games, intuitive and creative AI, race cars, and educational technology. Former Unity 3D games engineer, Former IBM Strategy Consultant, Carnegie Mellon Mech. E.
I’ve been in the game industry as a tech artist for over 11 years. It’s been a fun experience with the different games I’ve worked on from PC to Console to Mobile. I like building useful tools and pipeline that help make awesome art and make artists’ lives easier. After leaving shore on Iceland I embarked on a journey that led me to San Francisco. That was over ten years ago – since then I studied at the Academy of Art and worked in the gaming industry, never leaving the Bay Area. M.S. in Computer Science from University of California, San Diego. Like strategy games, card games and hiking. I also enjoy reading books, watching movies, news and various sport games. M.A. in Statistics from Columbia; B.S. in Applied Math from USC; Grew up in Zhongshan, China; Love playing drums and snowboarding. English/Welsh. Was Creative Director at Planet Moon Studios and Ubisoft. Designer/Writer of Giants: Citizen Kabuto, Armed & Dangerous, MDK, and many others. Lead Writer/Designer on multiple Telltale games. Loves reading, writing, traveling, and listening to podcasts. BS in Computer Sciences from University of Hawaii. Previously worked at Epic Systems. Hong Kong dessert maker! I have been working as an Environment Artist for AAA games for almost 10 years. I worked on games such as Bioshock 2 and the open world Mafia 3 until I decided to start working in this fun industry of mobile games. I have been in the video game industry for 17 years as an environment artist, OS reviewer and Producer. Som of my favorite projects include, The Return of the King Game, Godfather, The Sims 2, Dawngate, and Mafia 3. I spent a few years in the Indie scene while earning a Bachelors and Masters degree in Digital Art from the University of Utah. (Go Utes!) I did a stint at EA before finding a home with Pocket Gems. Football watcher, Comic book collector, Mountain Dew enthusiast. Bachelor’s in Computer Science from UC Berkeley. As a Bay Area native, I’m a fan of all of our sports teams. I spend my free time gaming, playing music, and rock climbing. Born in the Bay Area, studied Computer Science and Psychology at UC Berkeley, and liked studying games enough to teach a class about it and considered it my “unofficial” major. Also an avid swing dancer who teaches, competes in, and choreographs Lindy Hop. Studying CS at Princeton, but spend most of my free time singing and arranging music for school groups. Bay Area townie (get off my brown lawn!) Did a sweet stint at King Digital Entertainment before earning my MBA at Harvard. Currently pursuing a BS in Computer Science at Cornell University. Loves fitness, esports, the beach, and pop punk music. 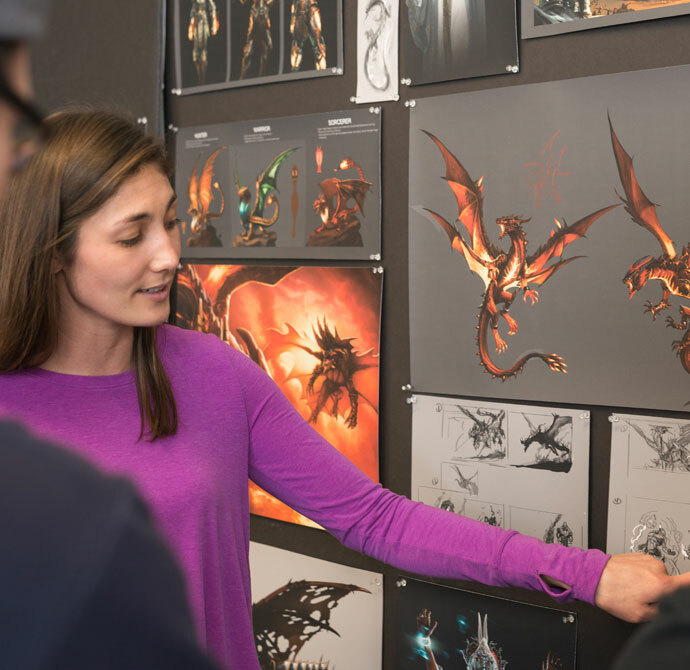 Graduated from Entertainment Technology Center, CMU, concentrating on illustrations and concept art. The biggest wish is to live where there are mountains, rivers and food delivery, with lots of dogs and cats. Before joining pocket gems, I spent 4 years in consulting. I am an engineer by background (degree) and also attended business school before PG. Originally got into making games by creating Counter-Strike maps in high school. Earned a BS from Georgia Tech and Masters from Carnegie Mellon. I moved west in 2011 have been making games in the bay area since. Hobbies include: RPGs, climbing, soap making, watching Survivor. B.A.Sc. in Electrical & Computer engineering degree at the University of Waterloo, Canada. Born in Cairo, raised in Abu Dhabi and Waterloo. I’m trying to escape the cold so SF here I come! I also openly dislike avocados and am a member of FIFA addicts. Master from Case Western Reserve University, undergrad in CUHK. Love cooking, eating and working out to get in shape. Originally from the east coast. Graduated from Cornell University with a degree in CS. I enjoy rock climbing and playing piano/ukulele! Graduated from Pomona College with a BA in Media Studies. I’ve always had a deep love for games and stories. My other interests include theatre, music, and consuming carbohydrates! M.S. in Computer Science from GWU. B.S. in Automation from USTC. Games lover since very young. Hey, I’m just a small town boy. Livin’ in a lonely world. Sometimes I, too, take the bart train, goin’ anywhere. Don’t stop believin’ my friends. 1980s Oregon Trail. It’s green! M.S from Stevens Tech in Computer Science. Previously worked in a mining industry and interned in a leak detect company. I love mobile/video game, fitness and traveling. Made in China. Graduate from Northeastern University in MS/CS. Had in internship experience in Django/MySQL. Proficient in Java and Python and Hadoop. BA in Radio, Television, Film from San Jose State University. Prior to Pocket Gems, I was at Lyft and the San Francisco Giants before that. Outside of work, I teach figure skating and am a dog mom to a sassy cockapoo named Rose (named for the Doctor Who companion). From Traverse City MI with an M.S.E in computer science from the University of Michigan. Have worked in Natural Language Processing, Mobile/Full Stack App Dev. Once realized half way through that Bay to Breakers was more than a 5k. Hi there! I am Zoe, born and grown up in Beijing, China. Pursued M.S in CS from UC Irvine, B.E in IoT Engineering from BUPT, and has transferred to UPC, Barcelona in 2015 for NetSys research. I am a dog lover, esp for Bulldog and Italian Greyhound! They are really sooo cute!!! “grew up reading Manga, play Atari and NES all days. Tried schools. Bachelor of the Arts and Master of fine arts. Born in Detroit, Michigan. Received a BS in Computer Game Development from DePaul University and an MS in Interactive Entertainment from UCF. In my free time, I’m an amateur photographer, avid MtG player, and SCUBA diver. Places I have worked include Electronic Arts (where I made way too many Harry Potter games), Disney, LucasArts and Rumble among others. I have been a gamer for a long time, and still have my old Atari 2600 Console from the *cough* Seventies ! Masters in Computer science from IIT Madras. Before Pocket Gems, worked in Directi, Amazon and couple of early stage startups. I love Chess and Tea. Stanford MBA; BA from Wellesley in Econ and Japanese Studies. Originally from Pittsburgh, Pennsylvania. Previous incarnations include management consultant and entrepreneur. Foodie (more eating, less cooking) and dog lover. Chronic polymath with a background in theatre, drones, and VR. A firm believer that anything can be fixed with duct tape, elbow grease, and a deep breath. Born in China, Bachelor in Kyoto University, Japan, Master in UCSD. Addicted to coding. Leveled up in KPMG and another gaming company to increase stats before reaching this stage at PG =D Loves dog; have cats. Loves outdoor activities; want shade. Software Developer. Graduated from UIUC in 2015 and have been happily coding away ever since. Toad in a catsuit. The Knight from Hollow Knight. The Chosen Undead. Ganondorf. Graduated Carnegie Mellon with a degree in Computer Science. Born in New Jersey and ported to West Coast compatibility by Microsoft. Lover of family, video & board games, poker, baseball, music of all sorts and fluffy animals. Graduated from Penn with a degree in Computer Science and Business. Prior to PG, I worked as a consultant at Oliver Wyman. My favorite things to do are watching football, eating food, and playing games. A mix of Beijinger, Industrial Designer, 3D Animator, Motion Designer and daydreamer. Originally grew up in Germany before coming to the US and graduating from Claremont McKenna college with a degree in Computer Science. 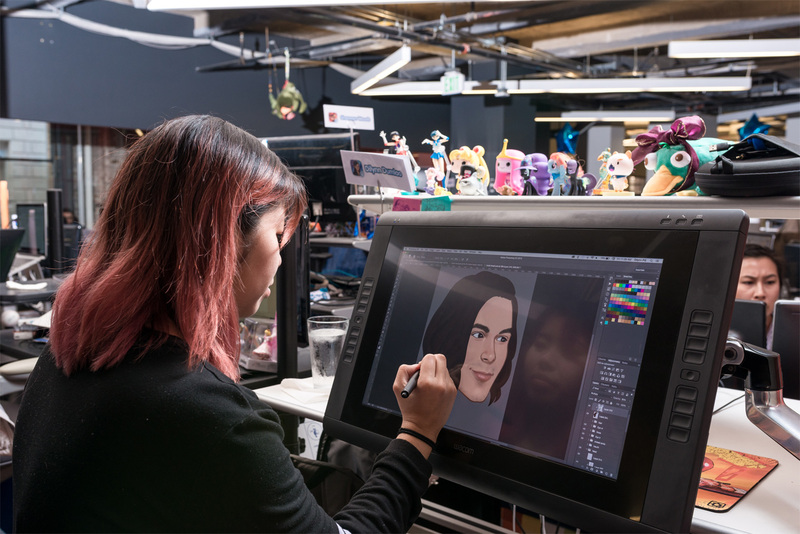 A strong passion for video games led to a Program Manager role at Blizzard Entertainment, followed by the current position at PocketGems. Big soccer (Bayern Munich), tennis, snowboarding and Lord of the Rings fanatic – the latter ultimately leading to a loyal dog named Samwise Gamgee. Raised in Reading, schooled in St. Andrews, and settled in SF. When not scouring the globe for ramen, you can find me in Bill’s PC. Born and raised in the Bay Area; also lived in Philadelphia, Boston, and London. Formerly did BizOps in fintech, MBA at Stanford, management consulting, and undergrad at UPenn in Biology. Background: BS in pure mathematics at the University of Melbourne. Currently at USC for an MS in CS. Some finance-related stuff before the two previously mentioned degrees. I enjoy playing board games, watching sitcoms, and exploring cities. Graduated from the Art Institute of California- Orange County. Came from years working in AAA. Like to teach and talk game dev in spare time. Bachelors from NIT Surat, India. Pursuing masters in Computer Science at USC. Previously worked at Practo and Samsung Research. I like chipotle. I graduated from Art Institute of California – San Francisco. Gaming has been my passion since i was young. I am Currently playing any FPS and Fighting games that are on the market. Born and raised in San Francisco. Studied Environmental Engineering and Public Policy at U.C. Berkeley. Picked up some sweet data science skills while working on the analytics team at a renewable energy company before coming to Pocket Gems. Life-long Star Trek fan, burrito enthusiast, and more recently, mediocre ping-pong player. Originally from the Bay Area. Graduated from UC Berkeley with a degree in Electrical Engineering and Computer Sciences. Worked as a UX designer for mobile and gaming applications. “I grew up in SF and have a keen interest in creature design – love making monsters! Ancient history, biology and folklore are where I look for inspiration. Graduated from University of Pennsylvania with a MS in Intercultural Communication. Before Pocket Gems, I was in consulting, with a focus on brand and business strategy. Having lived in North Cyprus, Japan, with the most recent years spent in US, I am always inspired by all things arts and culture. MS in Computer Engineering from USC, BS in Computer Science and Technology from ECNU (China). East to West coast convert; life learner; story-obsessed. Believer in cultivating our own joy! Along with creating stories for Episode, I’ve also spent time as a writer for Thought Catalog and an assistant to a screenwriter. To have a favorite video game would’ve meant prying me away from The Sims. Bay Area native who graduated with a business degree from USC. I love working on DIY projects and I can never say “no” to french fries. Born @ Beijing, China, Product Design BS @ Stanford, Product @ Pocket Gems. San Jose local with a BFA from SJSU. Have rigged for Nimble Collective’s Pilot Program on Roadside Assistance, Women In Animation as a Mentee and Rig Think. When I’m not rigging or writing code, you can find me drawing in VR, playing video games on the Nintendo Switch or hiking and exploring nature. Cornell CS master. Love skiing, hiking, games and my girlfriend Tu. MS in Computer Science from USC. Move from foodie’s paradise LA, dedicated food hunter in SF. Cat person, love lego, roller coaster and stuffed toys. I studied business / finance but realized ultimately my passion was for gaming! Before Pocket Gems, I spent 2.5 years at Twitch. Born in New Jersey, and raised in San Diego. I completed my undergrad at Stanford University obtaining a degree in Public Policy. I am extremely close with my family and talk to them daily. I have a passion for sports, and enjoy going to games with friends. Bay area native. The terminator autographed one of my diplomas. Commercial legal teams at media and technology companies before Pocket Gems. After studying Classical Languages and Literature at UC Berkeley, I spent about ten years in the Pacific Northwest before going to graduate school in Texas for a Master’s degree video game development. I then worked as a content designer at Cryptic Studios for six years. Is Super Smash Bros Melee old school yet? Born in CT and raised in Saratoga, CA. BA in Mathematics and Statistics at UC Berkeley. Interests include swimming, lifting, playing card games, and chocolate. Born and grow up in China. M.S. in Computer Science from Northeastern University. An astronomy amateur, cat lover and gamer. I started my career developing mobile games and I loved it since then. I love that I work in the industry that I’m very passionate about. I come from Santiago, Chile, worked a few years in Vancouver, Canada, moved to San Francisco in 2015. As a lifelong gamer I spent my youth organizing events for my local community of RPG and CCG gamers. Around age 20 I abandoned my previous studies when I was offered a shot at designing games for a living and I haven’t turned back since. Prior to Pocket Gems I was the lead designer on a number of card and board games, served as lead designer and game design director for CCP Games on EVE Online and as game design and creative director for Solfar Studios on Everest VR and In Death. Born and raised in San Francisco with a degree in Hospitality, Tourism, and Event Management. Interests include marathoning TV shows, playing video/board games, eating all forms of potatoes, and consuming milk tea. Most of my background is in editing reality television, where I gained a skill set that includes music editing, sound design, and picking the perfect close-up. I’m also enjoy setting up technical workflows and teaching. In my free time, sometimes I make silly cat videos. Erstwhile adventurer and student of storytelling in all its forms, I’ve worked in games, books, television, and comics. I run, I read, I write, I meditate, I make games, I play games, I go to sleep, and then repeat. California native and game designer with a narrow, laser-sharp focus on narrative design, content design, systems design, level design, game design, and design design. The only employee being paid entirely in gemstones and rare minerals. MBA from Presidio Graduate and BS in Animal Science & Management from UCDavis. Worked for The Walt Disney Company and nonprofits in the past. Also a well traveled adventurer in Azeroth and constantly on a quest to expand my mind palace. MFA in Dramatic Writing from Carnegie Mellon. Former professional actor, published author, and Brooklynite. Born, raised, resides in “The D” — Go Tigers! Has an MFA in abstract painting, and taught art theory at the college level. Wanted to be a noir detective, but compromised by becoming a recruiter. Previously worked at tech behemoths and scrappy games studios, and was once in a meeting where a champagne-laden miniature horse showed up partway through. Prior to Pocket Gems, I worked on Rhythm Games as Artist and Designer. Love Sakamoto Ryuichi, MoGraph, Illustration and Concept Art. My goal is heading to the Faroe Islands and Greenland. Digital Media graduate from Full Sail University with an extensive background in website and graphic design. Once had a cubicle at NASA’s Kennedy Space Center. Wrangler of two fluffy cats and lover of everything pink! Math degree from Stanford, originally from South Texas. Hmu if you’re getting tacos/boba/ramen. Team Bron Bron. BA from UCLA in Economics. Formerly at PwC prior to joining Pocket Gems. Warriors, Eagles, UCLA Bruin fan. Enjoys gaming, sports, and eating. Grew up in the Boston area, but got tired of the winters and made my way to California. Studied computer science at UC Berkeley, but spent most of my time there dancing in parking garages and occasionally onstage. Grew up in the beautiful, humid state of Florida. Got a BS in Business Management from the University of Florida (go Gators) and moved to California to do HR. After a year and a half of that, and lifetime of playing video games, I’m happy to be working a dream job while helping others get their dream jobs. Non bay area native from the Midwest, Lifelong content creator and gamer, 16 years of art game development experience. Cornell MBA, BS in Marketing from Emerson College. Lived in four countries, speak two languages. Have a habit of moving cross-country/cross-continent. MS in Accounting and Economics from UIUC. Prior to Pocket Gems, worked at Samsung Electronics and Sony Mobile Communications in Korea. Love going to museums and checking off my foodie list. Been testing & playing games since I was two years old. Really. I have a degree in Industrial Design and I’ve worked in creative marketing for decades. Making things easy to use, perform well while also looking awesome is my life. Miss Pacman. Her bow is fab! From Taiwan. Studied computer science at University of California, Irvine. Like to play basketball. Also a dog lover. BS in Economic and MS in Financial Mathematics from UCSD. Previously worked as data analyst under the decision science department at Disney. Mildly obsessed with mobile games, and hopelessly addicted to boba milk tea. Grew up in the Bay Area, and went down south to UC Irvine to study Biology. Studied to be a physical therapist, but now I’m an office coordinator! Interests include board games, coffee, whiskey, and adventures! Graduate Student at Duke studying Engineering Management. Made a game at the age of 12, which got me really excited about being in the gaming industry. Prior to Pocket Gems, worked in technology consulting with Deloitte. Also love writing and playing original music. I’ve been all over– I started off in Cognitive Science, moved onto screenwriting, and have been working in script development at various production companies in London and LA. Harvey Keitel’s character National Treasure would wonder, “What did she want to be when she grew up?” Well, Harv, I’ll let you know when I figure it out. Mario Kart on Nintendo 64, what a classic! 14 years of industry experience in software production, thereof 8 years in games, working on CCP Games’ sandbox MMO EVE Online in various roles such as QA Analyst, QA Lead, QA Manager, Game Design Manager and Development Manager. Hailing from a combination of Philly, Boston, and the Bay Area, I studied English at Dartmouth, then worked for a year in Rauner Library with the archives and rare books. I’m fascinated by stories, especially fairy tales and myths, and am a huge gamer, bookworm, and film nerd. I also love cooking, swimming, writing, and most things that let me get outside and am always in search of a good adventure! Pokemon Emerald, FE: Sacred Stones, LoZ: Ocarina of Time, Mario Kart! BA in Film and Media Design, with a deep love for video games, cartoons, and all things pop culture. Getting a fan based hyped up is what I live for! I majored in Multimedia Programming with a Music minor at Eastern Washington University. After some time creating 3D models of invention ideas, I spent the next 12 years at Electronic Arts in QA and Production, where I worked on The Sims and EA Sports titles. I’m a life-long gamer and have been playing since I was old enough to hold a controller. To say I’m living my dream by making video games is an understatement! I was born, raised and schooled in New Zealand. I spent a fair few years living and working in various countries before settling in sunny California. I’m trying to only vacation in new countries, but the fishing in Cabo keeps drawing me back. Cabal – the only game I ever completed. Graduated with MS in Computer Science at University of Southern California. Loves cooking, classical music, and boba tea! I began my career as a teacher then transitioned into recruiting! BA in Applied Linguistics and BEdu from Griffith University, Australia. Spent five years in Japan snowboarding, playing taiko and trying (unsuccessfully) to sample all the ramen in Tohoku. Landed in California after a quick trip around the world. M.S in Integrated Marketing Communications at Northwestern University and B.S in Finance at UNSW, Sydney Australia. G’day Mate! Lifelong R&B, Jazz Hiphop lover. Spent time as a world explorer on traveling over 15 countries. Nestled in the heart of San Francisco, Pocket Gems is full of people making the best mobile games and entertainment in the world. Copyright © 2011–2019 Pocket Gems, Inc. All rights reserved.